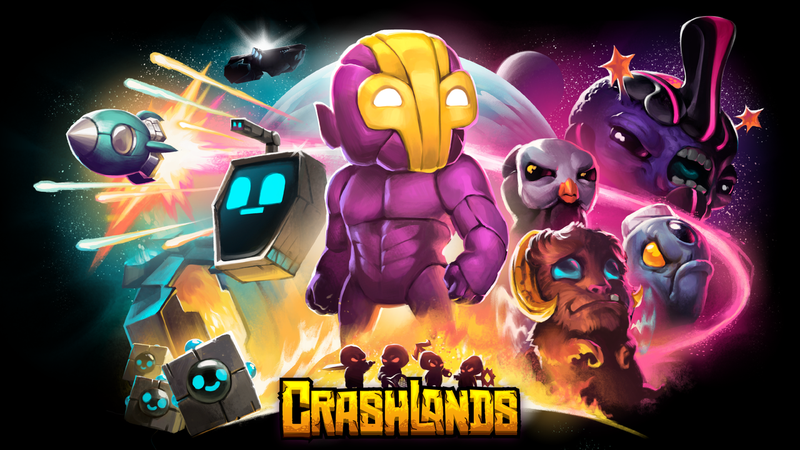 Crashlands is a new Steam action role-playing game that has me hooked. That’s a problem, because I can play it pretty much anywhere. Crashlands is pervasively silly, and I’ve been surprised to discover just how much that keeps the sandman away from my poor, helpless eyelids in this, a genre mash-up I kinda expected to snooze through. The humor really is a game-changer. I made a volleyball out of one-footed hippo monsters. It functions exactly as you’d expect a volleyball to function. I don’t think it really serves a purpose beyond that. I swatted a one-footed hippo monster so hard that it laid an egg. Then I incubated and hatched said egg. My pet hippo monster’s name is Wompson Jr: The Kinslayer. So far, he’s mostly slaughtered other hippo monsters who look just like him, on account of being stolen shortly after he was conceived and brainwashed into being my son. It’s all good, though. I haven’t seen any mirrors on Crashlands’ planet, so I doubt he’ll ever piece it all together. I have begun every conversation with NPCs by smacking them. That is, if you were wondering, the only way to initiate conversation in Crashlands. I didn’t hate the inventory system! It’s an ARPG miracle. I helped two weird fly creatures get back together by carrying out a series of targeted assassinations for one and lying for another. It was, as you’d expect, a heartworm and a half. Er, heartwarm. Either/or. Discovered that the game world is infinite. Infinite-ish. Another cool thing: Crashlands has a mobile version, and you can transfer saves directly between the Steam and mobile versions with the push of a button. Frankly, I prefer playing on my PC (the interface feels better with more breathing room), but it’s been great taking the game on the road and into the bedroom (but not like that). Honestly, it’s a big part of the reason I can see myself playing this one for some time to come. Between the infinite-ish nature of the game world and some surprisingly convenient portability, it’s a great time-killer. If you can’t tell, I’m pretty into this game. It is not, in any singular way, a revolution, but it’s like a really good grilled cheese sandwich—or if somebody ate a bunch of different grilled cheese sandwiches, and then they fused in his stomach, and then he gently regurgitated them into a perfectly distributed grilled cheese ball. That is to say: it’s an excellent blend of tried-and-true ingredients with just enough personality (digestive acids, in the previous metaphor) to make them feel novel. Give it a try.